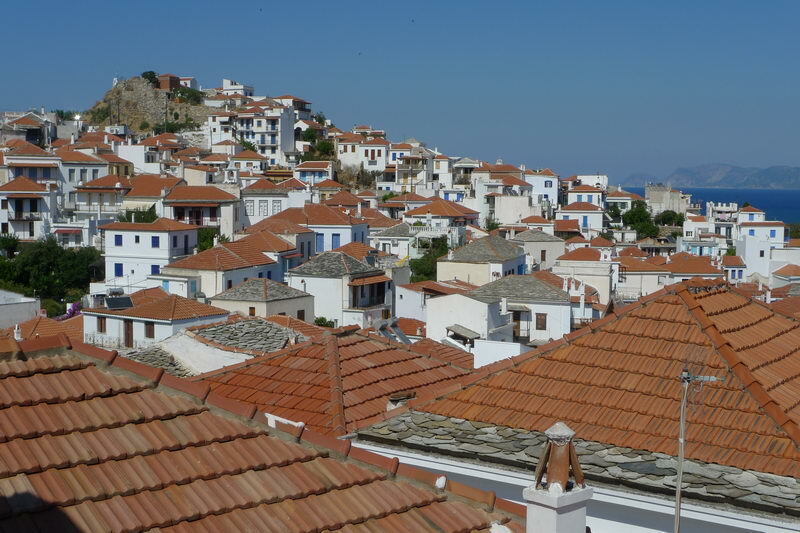 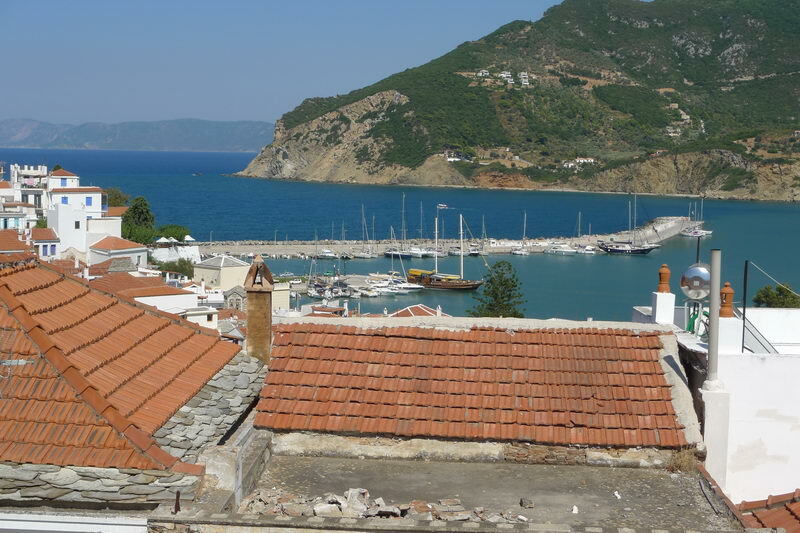 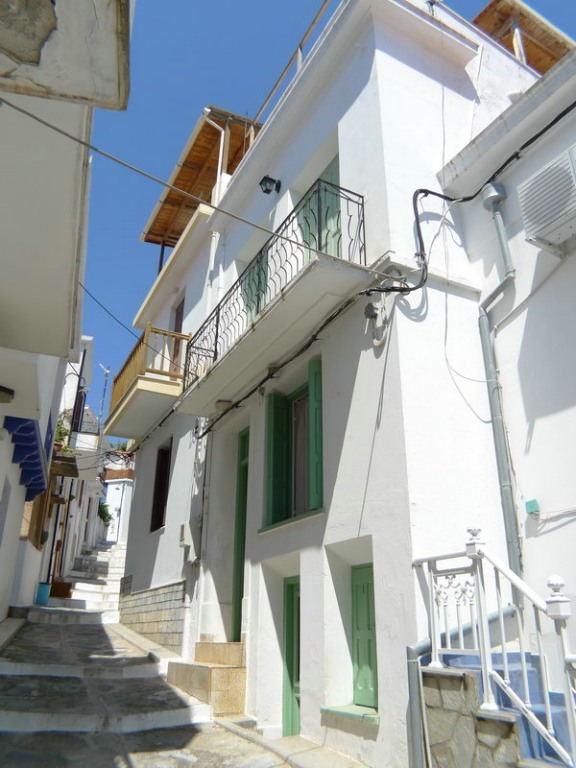 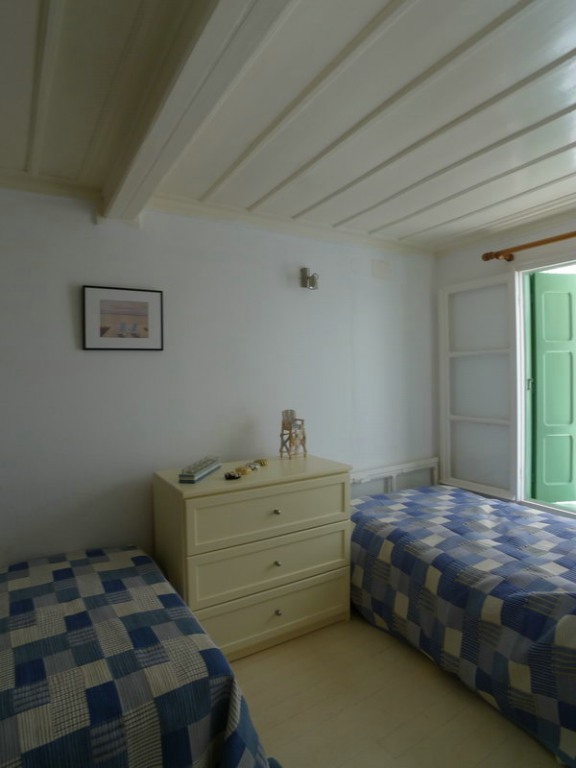 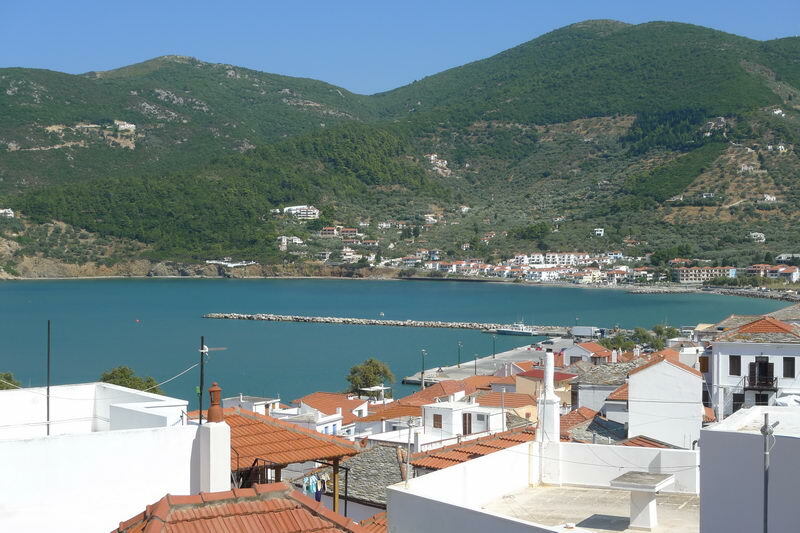 This townhouse lies in the heart of Skopelos in a car free street. 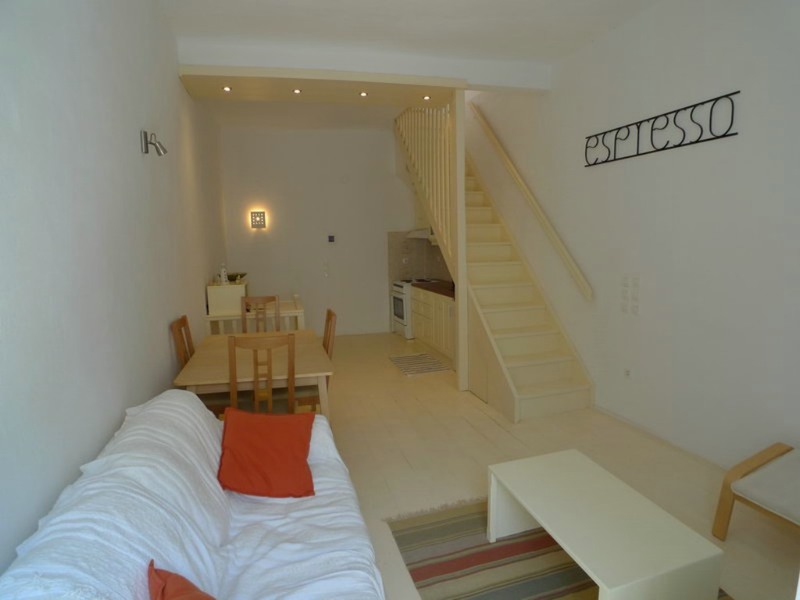 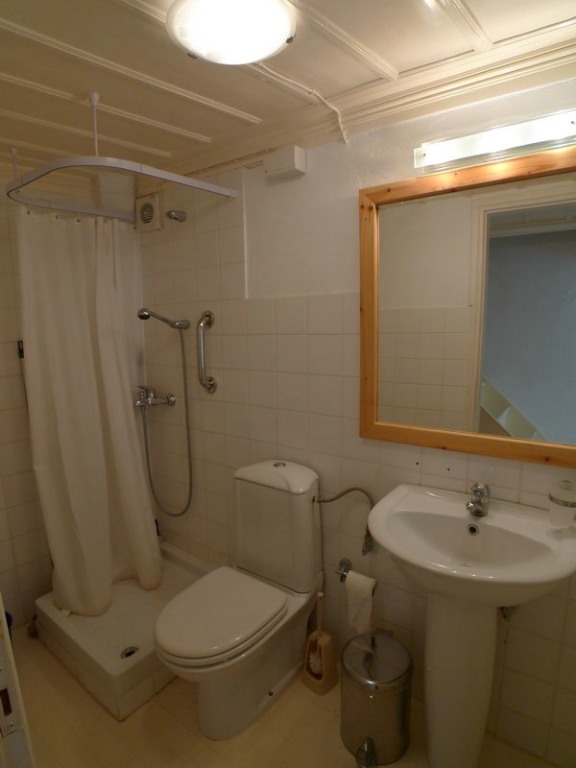 The access is easy and close to supermarkets, bakery and other stores. 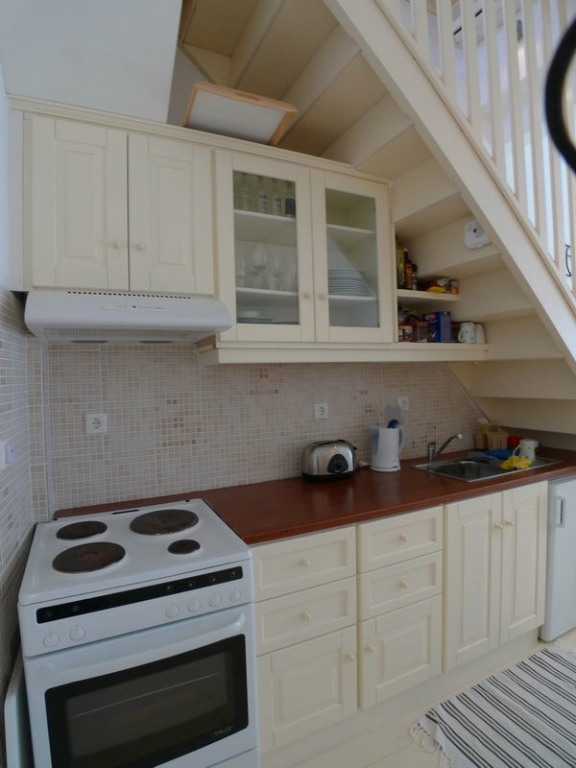 The house has three storeys. 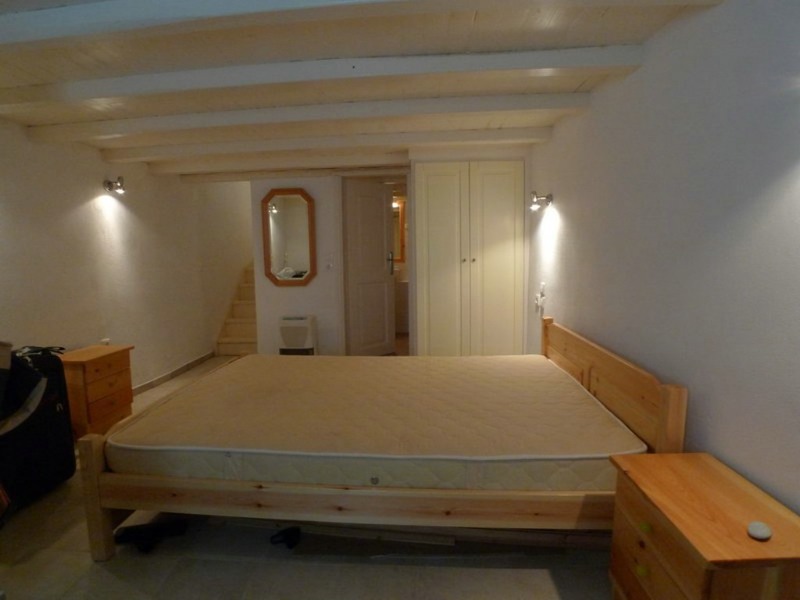 Coming into the house there a hall with to the side a bedroom with two single beds and a bathroom further down the hall. 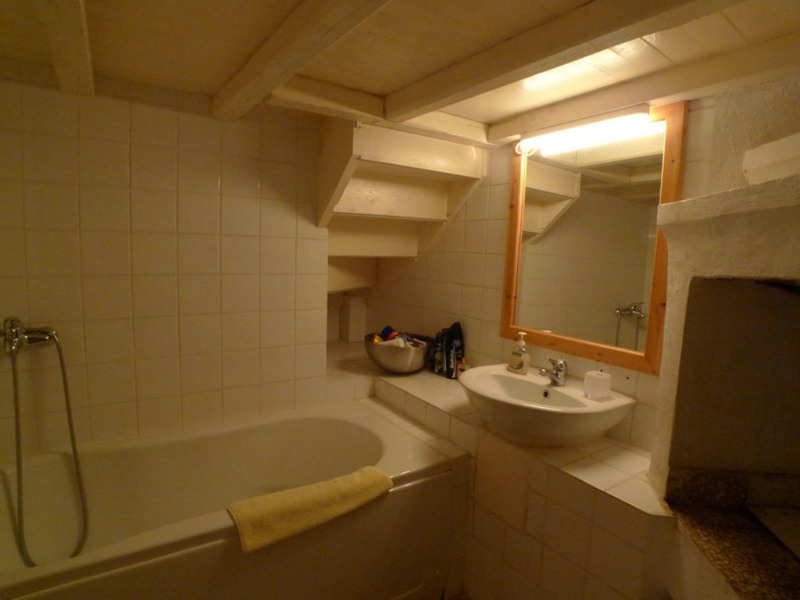 A staircase down leads to the master bedroom below which has a bathroom attached. 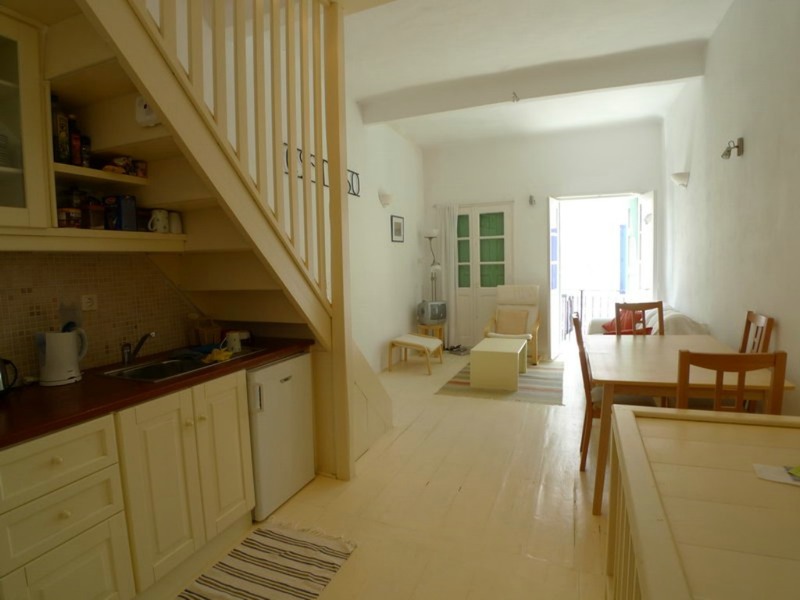 The second floor is a big open plan living room with a kitchen two french doors and a balcony. 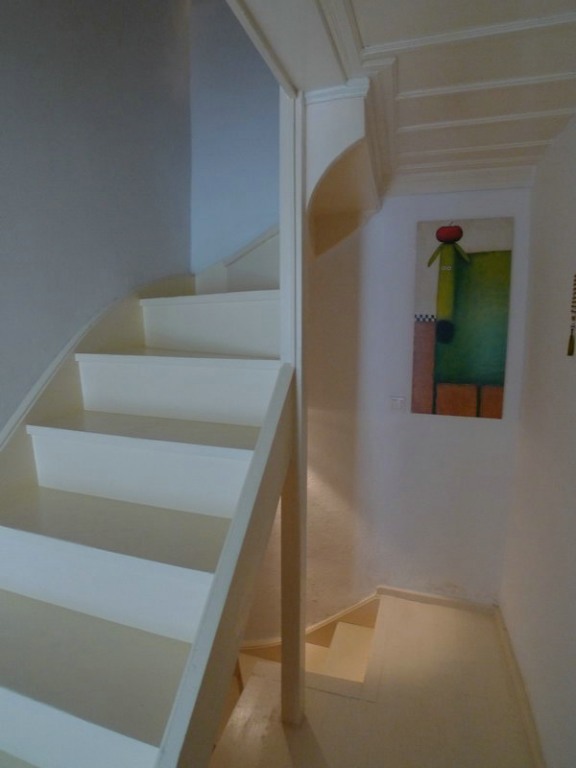 Going up the stairs you enter the big roof terrace via a room that can serve as another bedroom or living area.